One of the most visited destinations in India, located in the state of Jammu and Kashmir, Ladakh is globally renowned as a ‘Cold Desert’ and known for its Tibetan Buddhist monasteries. The region shares its international boundary with Tibet and has a huge influence of Tibetan culture on its lifestyle. It is generally a barren land and has a low atmospheric pressure. Owing to its rigid climatic conditions and other features, tourists are required to certain necessary precautions during their Leh Ladakh tour. Read the tips and suggestions mentioned below. The altitudes at Ladakh range from 9000ft at Kargil to 25,170ft at Saser Kangri, at the Karakoram Range. It should be perfectly clear that it’s a land of contrasts. Summers here are quite comfortable as compared to the winters, which can be quite harsh. During winters, the temperatures drop to minus 30 degrees in Leh and Kargil, and minus 60 degrees in Drass. Between the months of December to February, this region experiences subzero temperatures. However, the intensity of the sun here is greater as compared to the lower altitudes, due to the thin air. For travelling to Leh, tourists do not require any permit. However, registration is needed for all foreigners and international tourists, especially those travelling by road. Registration can be done at Drass, Rumtse and Sarchu. Those travelling by air should get their registration done at the airport. Tourists are required to obtain a Protect Area Permit for visiting restricted areas including Tso Moriri, Tso Kar, Pangong Tso Lake, Dhahanu and Nubra Valley. One can obtain these permits through registered travel agencies. While travelling, it’s advisable to carry six copies of the permit as these are required to be submitted at the checking points. One of the major problems which you will encounter on your trip to Leh Ladakh is altitude sickness or acute mountain sickness. It’s caused by exposure to lower percentage of oxygen at high latitudes. Some people may face this problem when the altitude increase occurs in the course of a few hours, while some may experience this problem for the first few days even if the gain in altitude is actual. ACM, or acute mountain sickness manifests itself by one or more of the following symptoms – dizziness, headache, fatigue, loss of appetite, nausea, vomiting, loss of breath and rapid heart rate. Several precautions and rules must be observed to deal with this problem. One of them is a gradual gain in altitude. As a general rule, rest for a day or two after every climb of 2,000ft of climb above 8000ft. This will give your body plenty of time for acclimatization. In case you experience any symptoms of AMS, there are a few medicines which can help you combat this problem. These are Diamox, Dexamethasone, Aspirin or Disprin. One should also carry portable oxygen cylinders which are a great source of temporary relief, and if the symptoms still persist, consider descending before going back up again. You should avoid smoking or oncoming alcohol, avoid turning the heater on f you are travelling in a car and get plenty of sleep. Of course, the importance of drinking plenty of water can never be overemphasized. One should always carry enough medicines as the trip to Ladakh may, and will, bring you face to face with unexpected situations. One should carry medicines for basic medical conditions like fever, stomach ache, headache and others. Further, altitude mountain sickness, or AMS, is quite common here. Carry medicines like Diamox, Dexamethasone, Aspirin or Disprin to combat this problem. The main hospital in Leh is the SNM hospital, which is well equipped to deal with any kinds of emergencies. In other parts of the region, however, one can find sub-district hospital at district headquarters and medical dispensaries in major villages which are attended to by well qualified doctors. Apart from these, private clinics are also available in Leh. Tourists can also visit the Army’s General Hospital at Leh in case of undeclared emergencies. Various chemist shops are also available in close proximity to the SNM hospital, along with a few in the main market. In case of any unexpected circumstances or difficulties, one can contact the police station in Leh which falls under the jurisdiction of Jammu and Kashmir Police. The two other police stations which can be contacted in case of any difficulties are Nubra Police Station in Nubra Valley and Nyoma Police Station in Nyoma. When it comes to mobile networks, the best option is to go for a post-paid BSNL mobile connection from any mobile shop, as this is the only mobile connection which will work in Ladakh. In the city of Leh, as well as the areas surrounding it, you will enjoy full connectivity. For the Manali Leh highway however, your network will disappear as soon as you begin descending on the other side of Rohtang Pass. For the Srinagar Leh highway, your connectivity will completely disappear after leaving Srinagar and will remain that way until you reach Leh. For these reasons, it’s advisable to keep a copy of emergency numbers with each person on your team. If you are travelling with family, ensure that every person’s family knows the contact number of at least one other person in case of an emergency. In Ladakh, it is always advisable to keep your cash in hand, for you never know when you might need it! The last ATM which you will encounter on the Manali-Leh highway is in Manali. After that, you will not encounter any other ATM’s all the way to Leh. In case you need to refuel at Tandi, the mode of payment will be cash as credit cards are not accepted. In the Leh market, you will come across several ATMS’s belonging to different banks including SBI, J&K Bank and PNB. However, in areas such as Nubra, Pangong and Tso Moriri, you will have to conduct your transactions in cash. The majority of the hotels here are family run establishments and offer personalized services. Some of the best luxury hotels which one can find here are Hotel Charu Palace Leh and Grand Dragon. The deluxe hotels which promise comfortable and luxurious stays are Hotel Shangrila and Spik n Span. Standard hotels include Hotel Asia and Hotel Dreamland, among others. Opting for homestays is a great way of getting acquainted with the Ladakhi people and their incredible hospitality. The best homestays in Leh Ladakh region include Gangba Homestay, Gangs Shun Homestay, Ladakh View Homestay and Tukchu Homestay, among others. The peak summer months from mid-June to September have a pleasant temperature and therefore single T-shirts or shirts can do. In winters (from November to February), one needs heavy woolen clothes and warm jackets. However, in most parts of the Leh- Ladakh region, there is a drastic fluctuation in the daily temperature. Therefore, tourists should carry woolen clothes and sweaters while packing their bags for the trip. For Intra City Transportation in Ladakh there are options of buses and private vehicles. There are buses leaving from Leh City to the major places of Ladakh. These buses are not regular owing to the unpredictable weather conditions. Leh offers a fleet of tourist transport facilities with more than 2000 vehicles. Taxis, Innova, Mahindra Scorpio, Xylo, Toyota, Tata Grande, etc. During the winters, the entire Himalayan region experiences heavy snowfall due to which the scheduled opening of the roads is often delayed. This is also the time when we find the roads in a bad condition. One must also be prepared for the occurrence of landslides and roadblocks. The entire region consists of a rough terrain where the roads are built and damaged every year. However, other than these factors, the roads here are kept in an excellent condition by the BRO. One should always keep multiple copies of one’s driving license, PUC, insurance, vehicle registration papers and PAN, voter-id card or passport with oneself at all times. Doing so will make it quite easier to go through military checkpoints. If you happen to be travelling to Pangong Tso or other interior parts of the state, you will be required to submit various copies of your identity proofs at various checkpoints. On a trip to Leh Ladakh, it’s necessary to keep certain gadgets like a high definition camera which will enable you to store memories of your wonderful trip. However, it’s important to carry extra battery supplies while you are on the road. Further, other gadgets which are absolutely necessary are gadget chargers, power banks and car chargers. The main language spoken in Ladakh region is Boti. Other languages spoken in this region include Brokshat, Changshat, Balti and Shina. Use of English and Hindi languages can be seen in schools, offices and restaurants. Ladakh is an ideal destination for adventure enthusiasts. You can go for trekking, mountaineering, white water rafting etc. You will also try traditional sports such as polo and archery, and camel safaris across the countryside. Summers are the perfect season to travel to Ladakh. The summer season starts from May and continues till September. However, most of tourist plan their trips in winters because most of Ladakhi festivals take place at this time. 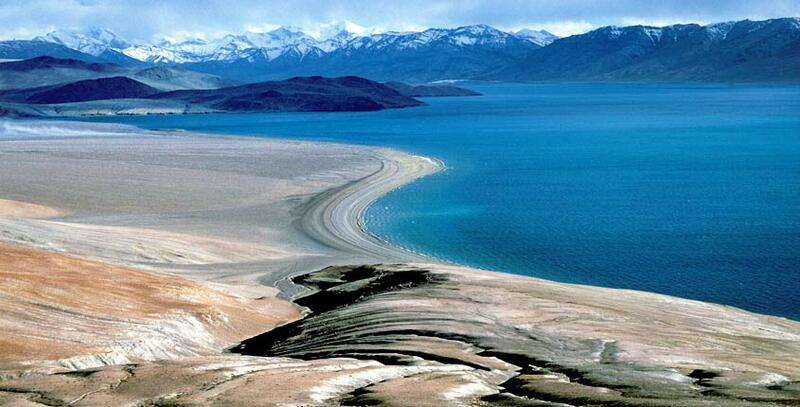 To visit Ladakh, you need to have your own itinerary according to your convenience. The most selling itineraries for Ladakh are listed on the website. Go through them and book according to your liking.